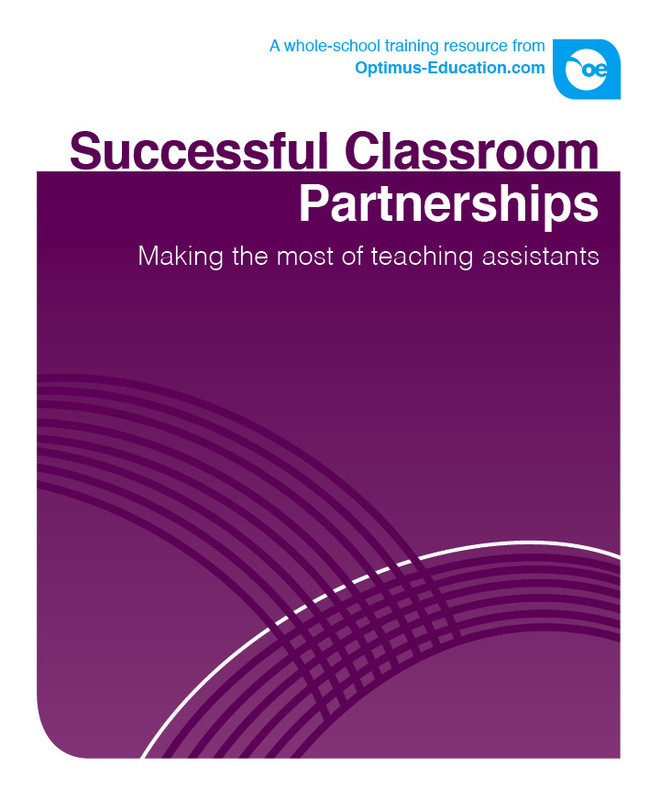 The Successful Classroom Partnerships: Making the most of teaching assistants is a training resource that aims to help school staff to develop their partnership working in order to provide outstanding opportunities for all learners, by ensuring support staff work in partnership to deliver pupil progress and narrow gaps in performance. improve home-school partnerships through positive communication. Consider how cross-school projects and partnerships can enhance pupil learning. "This is a ground-breaking and much-needed resource. It contains everything you need to maximise the potential of teaching assistants in their role supporting vulnerable learners. The materials included are varied, comprehensive and thoroughly grounded in both evidence and real-world practice. Every school should own a copy." CD-ROM containing PowerPoint presentations, handouts and any other editable resources.